The programs in this pack have been hand chosen because they are all elementary to successful personal development. 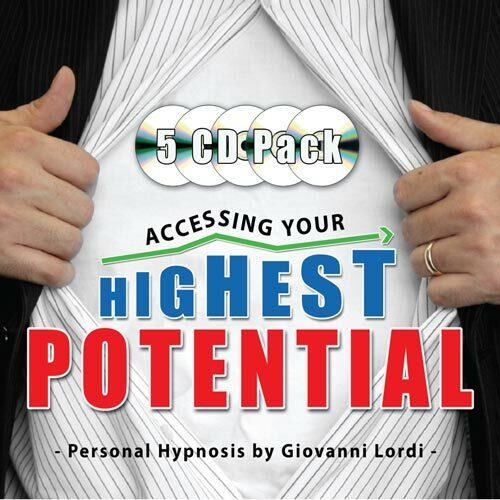 Each title is a full length hypnosis session by Giovanni to bring about powerful change in key areas of your life. Used together according to the instructions, the titles in this program will help shift your whole mindset into success, happiness, prosperity, abundance & living a better life. Helps become connected with your 'higher self' - a zone where all limits are removed and you can experience complete clarity & direction in your life. Helps build confidence in who you are, what you do and how you communicate with people. Confidence is an important cornerstone for any type of personal development. Gain the 'success mentality' so that everything you do is done with the purpose of being successful. Applicable for all areas of your life - work, relationships, goals etc. Being happy within is the single most important part of furthering yourself as a person in any area. This hypnosis program is solely designed to make this happen automatically for you. Enhances your self discipline, especially when the going gets tough, so you can keep moving forward positively to achieve your goals.